Product prices and availability are accurate as of 2019-04-24 13:51:53 UTC and are subject to change. Any price and availability information displayed on http://www.amazon.co.uk/ at the time of purchase will apply to the purchase of this product. The Single Malt Whiskey Store are proud to present the famous Ardbeg - Lord Of The Isles - 1976 25 year old Whisky. With so many on offer right now, it is wise to have a name you can recognise. The Ardbeg - Lord Of The Isles - 1976 25 year old Whisky is certainly that and will be a perfect purchase. 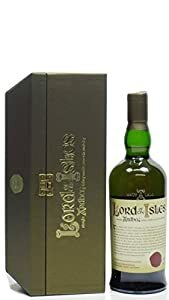 For this reduced price, the Ardbeg - Lord Of The Isles - 1976 25 year old Whisky comes widely recommended and is a popular choice with lots of people. Ardbeg have included some great touches and this means great value. "The nose is sophisticated and rich with black cherries, apricots and milk chocolate, plus sweet peat and honey. Sweet in the mouth with vanilla, toffee, more peat and a pinch of salt. Long in the drying finish with chocolate notes turning from milk to dark. One of the big future Ardbeg collectables which is getting thinner on the ground as the months go by. Not their best dram by any means, but we're told there are big differences between the different batches / bottles. First appeared in 2001and named after the chiefs of gaelic and viking descent who ruled the western isles during the middle ages. Most of the malt in this 25 year old dates back to the mid 1970s making it effectively in excess of 30 years old. Nose: Elegant and delicate delivery of dried apricot, sooty cherry and maritime toffee, the smoke and charred oak emerge along with aromatic tobacco and old leather, perfumed angelica, honey over coal tar. 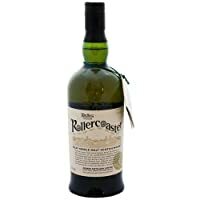 Palate: A fruity opening (tinned peaches in syrup) white pepper infused peat smoke, dried apricot, almond milk, roasted walnut, smoked lime, quite an oily/syrupy body, old leather chamois, soapy and floral notes, salted vanilla fudge. Finish: Spiced and sooty yet fresh and fragrant with smoked lime, anise, white pepper, long and minerally, salted almonds, chocolate limes dropped into seaweed rock pools and some waxy candied peel notes. A very elegant and complex old Ardbeg with everything working in perfect harmony and all at the perfect volume in relation to each other. Superb!